Gazelle Arroyo Elite - J.C. Lind Bike Co.
Gazelle (given the title Royal Dutch Gazelle by Princess Margriet in 1992) is the renowned leader in Dutch bike manufacturing since 1892. 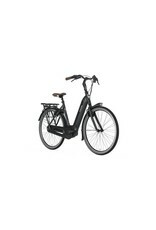 Their factory in Dieren produces over 250,000 bikes a year. From their conception to the present day, they've focused on making comfortable, safe, and stylish bikes that can be depended on daily. 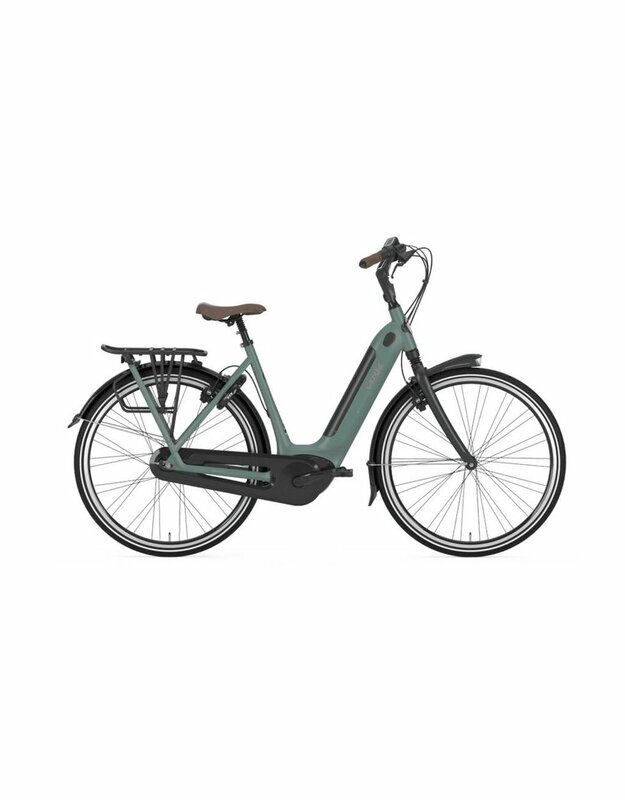 Furthermore, Gazelle is a forerunner in the eBike industry, early on having researched and developed the integration of this new technology with the classic, daily-riding bicycles for which they've been known for over 120 years. 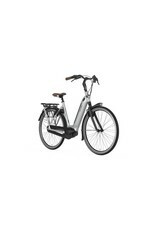 The result: Gazelle has a catalog of pedal assist electric bicycles that is incomparable. 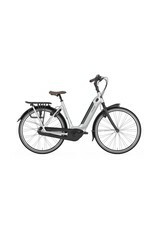 The Gazelle Arroyo Elite is an advanced eBike with a Bosch mid-drive motor. Just like you'd expect from a classic Dutch bike, it has an upright riding posture, a low step-through style frame for easy mounting and dismounting, a rear rack for panniers, front and rear LED lights that run off the bike's battery, and full coverage fenders for riding more comfortably in wet weather. 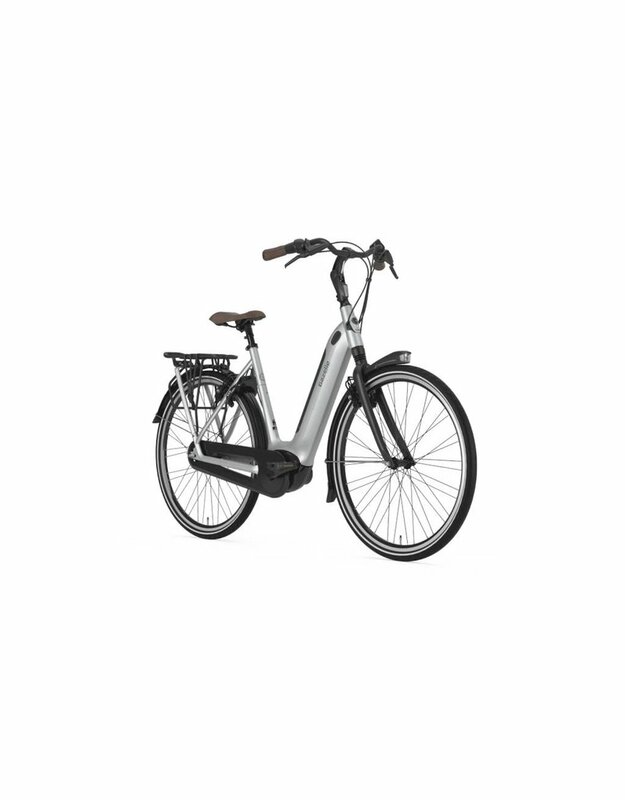 At first glance the Arroyo almost doesn't let on that it's even an eBike, mainly due to the battery which integrates seamlessly with the bike's down tube. 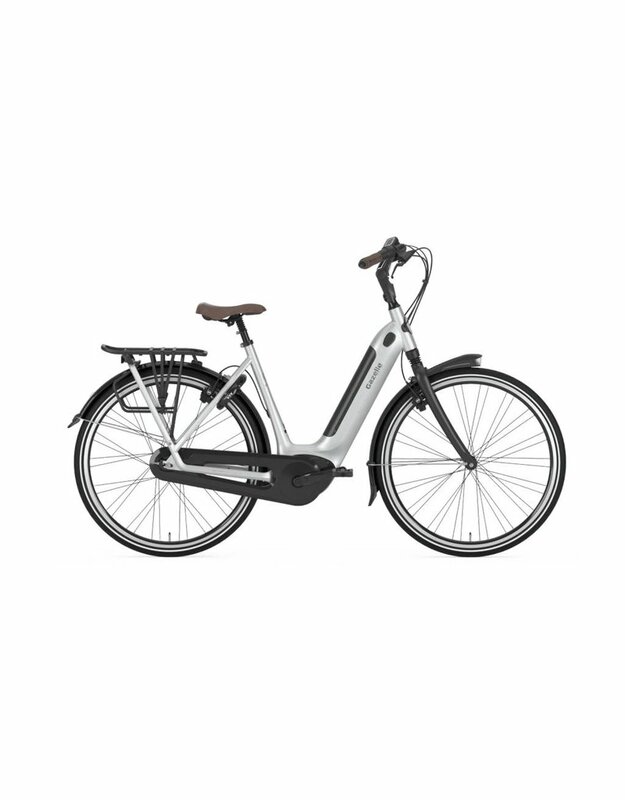 When riding the bike, the pedal assist provides a smooth input that feels like a steady tailwind more than an electric motor. 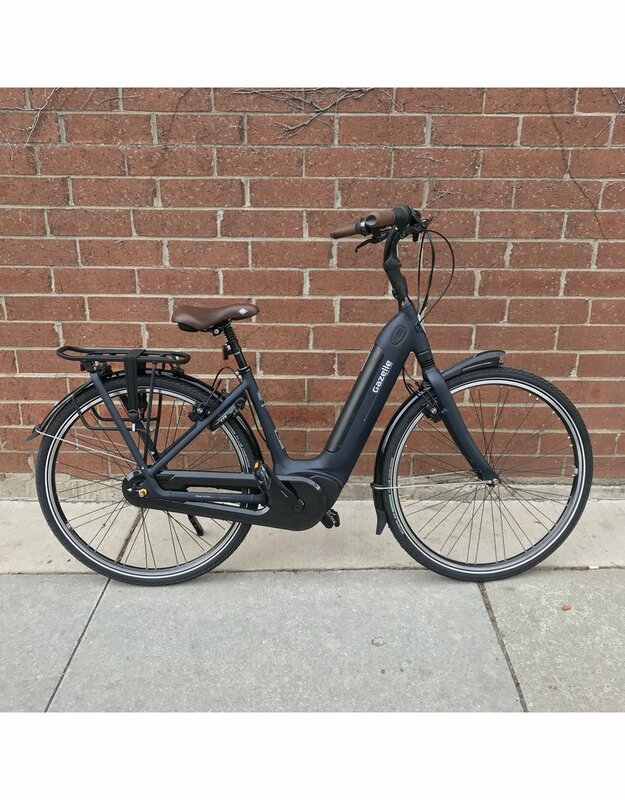 The Arroyo is a Class 1 eBike, meaning it only provides motor assistance when the rider is pedaling, and will stop providing assistance when the speed reaches 20 mph. 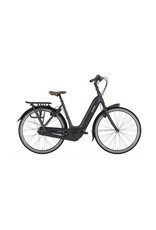 The sensation of the pedal assist is smooth, not jarring or jerky. Bosch's convenient and easy to read Purion display is mounted to the left side of the handlebars and informs the rider on details such as current speed, trip distance, and remaining battery life. 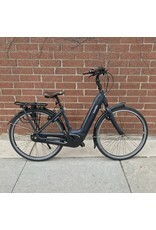 From this display the rider can easily toggle the motor between the various assist modes: Eco, Tour, Sport, and Turbo. The Arroyo's battery, drive unit, and display (in essence the entire eSystem) are all made by Bosch and undergo rigorous third party testing for quality. The Arroyo features the same Shimano 8 speed internal gear hub that's common on so many of our Dutch bikes. 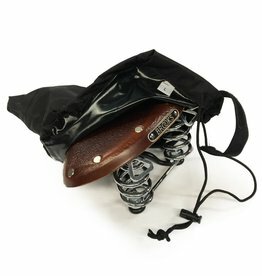 The chain is fully enclosed inside a chain case, not only protecting your pant leg from grease stains but protecting your chain from the elements. The Arroyo's brakes are a pair of Magura hydraulic rim brakes. The ride is cushy and comfortable, thanks to the Arroyo's Schwalbe Energizer tires and an integrated suspension system in the front fork.